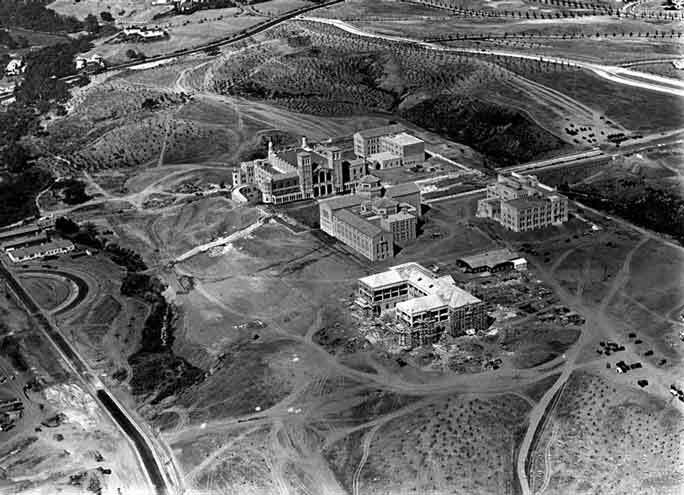 Historical photos of UCLA and Westwood village from the late-1920s to late-1930s, just as the school and campus was being built. The first day of classes in Westwood were in 1929 with 5,500 students and was also the first year the UCLA football team played the USC football team. 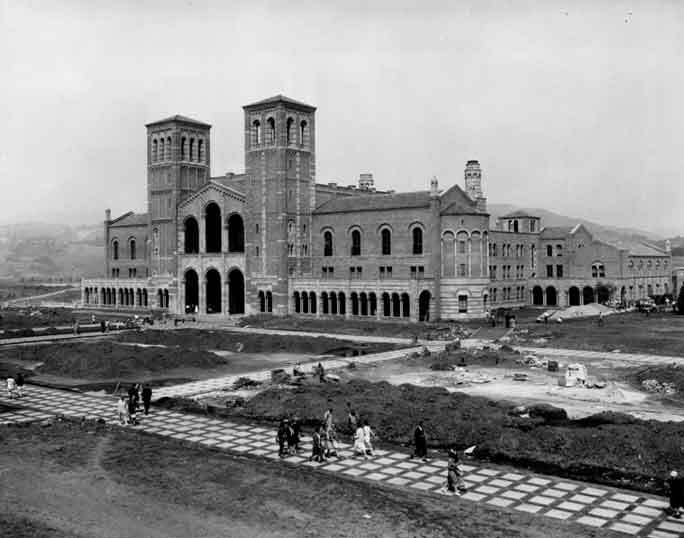 Royce Hall on the first day of classes, 1929. The building was ready...the grounds not so much. 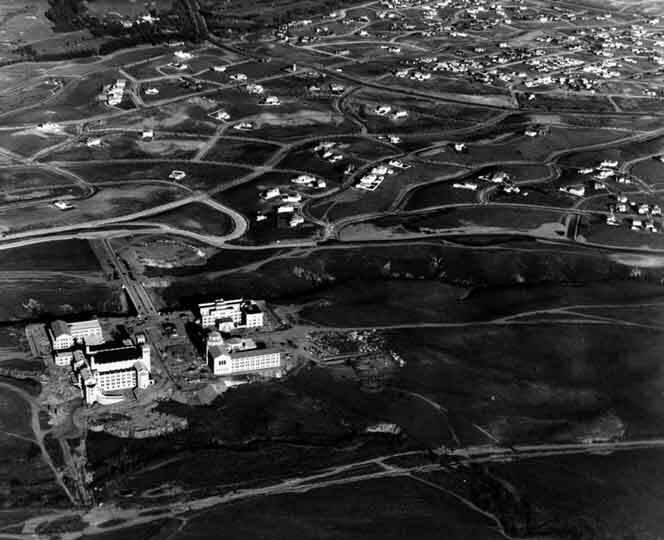 Aerial view of campus, 1929. 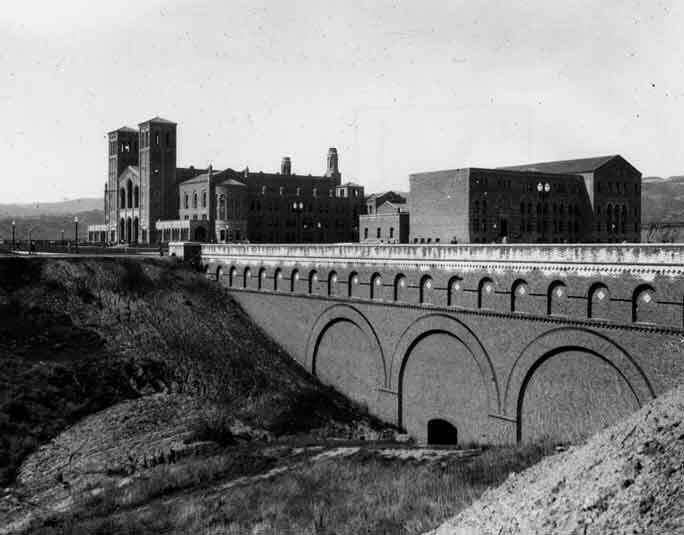 The original four buildings are (mostly) done, as is the bridge, but Janss Steps aren't yet, nor is there much of anything surrounding campus. The bridge (famous, secret, hidden, mythology) between Schoenberg and Perloff. Now completely underground with all the area around it filled in to make it look a road, except for those secret tunnels...that all Freshman are told about. Another aerial shot showing Moore Hall and Janss Steps under construction.